1. Is Elk multiball supposed to be a two ball or three ball multiball? The reason I ask this is that I swear that the game used to kick out three, but now it only kicks out two. I found three youtube videos, and all three machines only kicked out two. 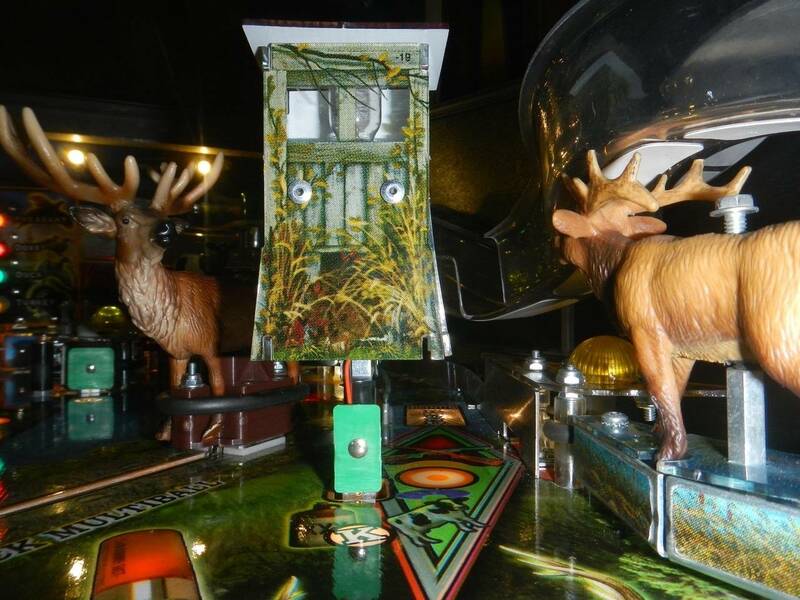 Big Buck multiball is the usual three, so maybe I just imagined that Elk was three? 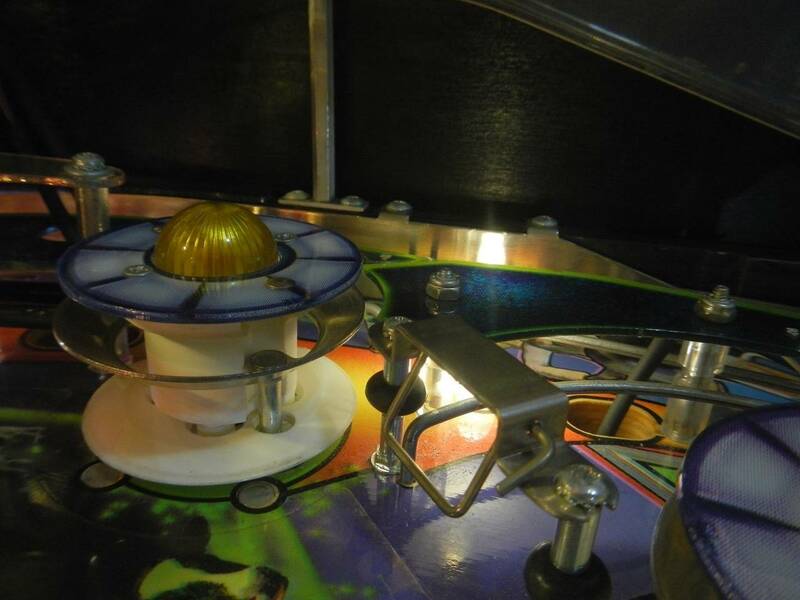 Pinball news http://www.pinballnews.com/games/bigbuckhunter/index7.html states: "Elk multiball is a 3 ball mode, so the original ball is kicked out of the shooter lane and joined by two more. As with big buck multiball, shooting the three standups which form Pappy's Porch will probably add another ball to the mix as a mystery award." If Elk multiball is supposed to be three, what would cause it to produce just two while all other multiballs are fine? 2. When the left orbit is shot, the ball comes around and usually ends up hitting the right slingshot after the loop instead of the right flipper, making multilooping impossible. A slap or shove does not help. Would adjusting the elk flipper to guide the ball so that it misses the slingshot be a fix? Is there another possible fix? 3. The critter one-way, wire spinner valve often lets the ball through the wrong way. Is this a common issue? Is there an easy fix? P.S. I thought I'd own this game for a short time, just for some senseless pinball, but, man, has it ever grown on me. What a challenging and fun game! 2.Adjust the metal ball guide above ELK swing out OR see if the ELK,s horns are getting caught on ramp above it and not swinging right back. Put a flipper fidelity kit in it and it is AWESOME, congrats on this super fun pin and see if you can get OPEN SEASON. I still havent got it. Thank you so much for the detailed reply. I will definitely check the Elk and the ramp. I think your suggestion for adjusting the metal ball guide is spot on I'll also check into repairing/replacing that gate. I've only lit super jackpot twice (haven't nailed it yet), and I've lit everything in the progress grid except the bonus round and bird. Bird is almost impossible to light it seems; I can usually only start two of the four multiballs because the shot is so thin and I can't get the shot nailed. What an insanely difficult game!